Looks and sounds great. Great write up! Where did you get strawberries that are not completely white inside? Off to get mom’s eye fixed so she can see all of my beauty! This looks so very healthy and yummy!! Thank you for sharing my recipe! Appreciate how you provide how each ingredient is good for you. And this looks delicious. I see smoothie bowls are all the rage now! I am going to have to try one soon- this one looks so good! I’ve always wanted to try smoothie bowls, but this is the first recipe I think I could like. I’m always looking for a healthy and quick breakfast option, and this sounds great! What are your favorite fruit toppings for this smoothie bowl? Awesome! I am thrilled this recipe resonates with you 🙂 I honestly top with whatever I have on hand (and even have fun shopping for new toppings that will be nutritious and beautiful). Chia seeds seem to make their way on almost all my smoothie bowls. Then, a colorful fruit like kiwi, dragonfruit or strawberries (in season!). Granola is a fun one which adds some crunch 🙂 Love getting creative! Enjoy. I’ve recently gotten into salads for breakfast, too! I never thought to put them in a smoothie bowl, though. Sounds amazing!!! Awesome! I just feel anything with greens is associated with salads but really we can eat them anytime of the day and mixed into anything for extra nutrients 🙂 Thanks for popping by! 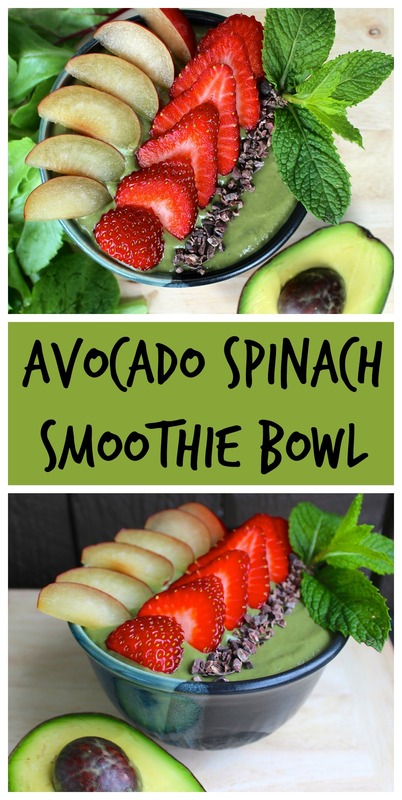 I am ALWAYS in the mood for avocado….looks yummy! Love this combination – looks delish! so delicious. love this bowl! YES! I love a good smoothie bowl. Looks lovely, really need to try it!! oh man! I need to get the fuse in my blender changed now! This sounds incredible! Yum! I make a similar smoothie with spinach, avocado, pineapple, Greek yogurt and almond milk. It’s delicious!! 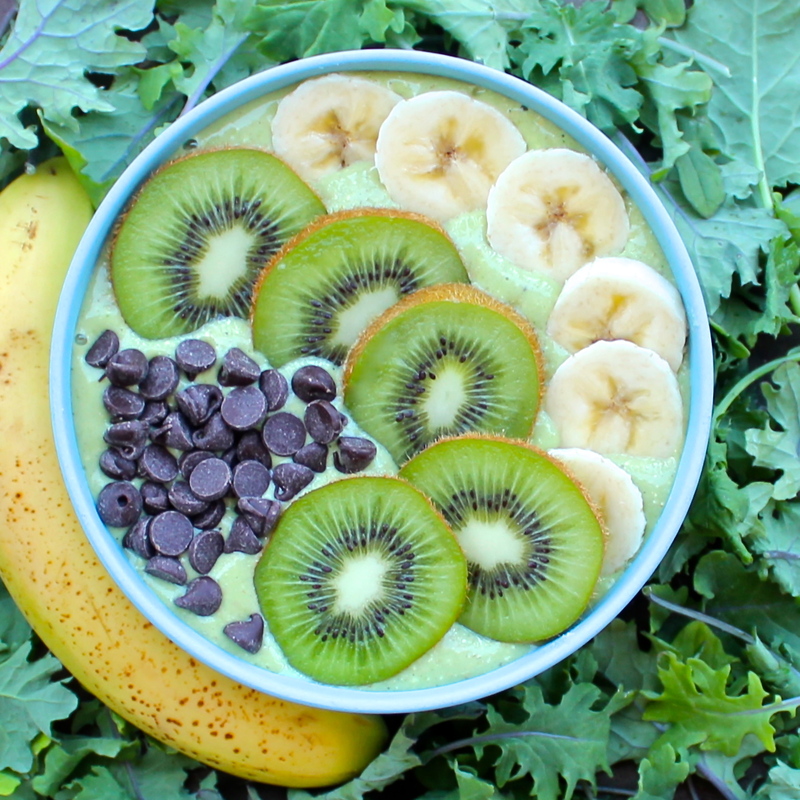 Such a delicious avo smoothie bowl! I’m drooling over my keyboard! This is such a creative recipe. It looks healthy but still very yummy! I love smoothie bowls! This looks so delicious! This sounds delicious. I love that you don’t use banana here. I’ve never been a fan of bananas in smoothies. What a beautiful smoothie bowl, and I love that you use organic spinach and strawberries (dirty dozen)! This looks like a great smoothie bowl, Dylan! I’m curious about the dairy free yogurt you mentioned. I’ve given up on them because I find them so off putting (taste and ingredient wise), but if you have a recommendation I’d love to learn more. Hope you had a great weekend, girl! Hi Justine, thanks for the compliment. I tagged you in a post on Instagram by my favorite yogurt brand (coconut-based). I hope the taste is better than what you’ve tried! I don’t love avocado but I think I might give this a try! 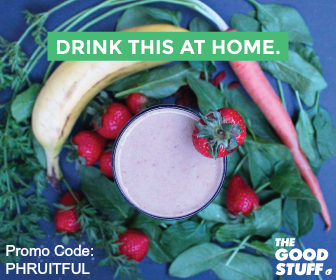 It looks yummy and you can’t beat the benefits!